Log into your account using your CRN or Email address, if you have forgotten your CRN we can email it to you (here). If your email address is on our system, then you may be asked for your date of birth to verify which account you wish to log into. If you have noticed the delivery address is incorrect, you are able to edit your address online. When back on the ticketing website click the My Account option in the top right and then the Update Details link. If for any reason your tickets have not arrived in time, please see Delivery and Ticket Order information. If you are managing multiple accounts with the same email address, you'll be prompted to enter the date of birth. If you can't remember the date of birth, you can log-in using their CRN. If you need to update the date of birth or email address please contact us. If you have changed your name through marriage or via deed-poll you will need to contact the Club in writing. Please note that we will require a copy of the certificate before we can make any changes to the name on your account. You will also need to contact the team if your date of birth appears to be incorrect on your membership. You may be asked to provide photo ID to confirm any changes. Important note: Membership or Season Tickets cannot be transferred. 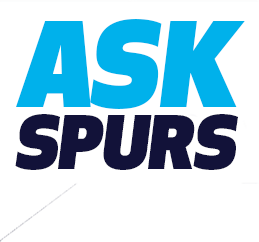 If you are currently subscribed to receiving email notifications with us, be it the weekly club newsletter, Spurs Shop newsletter, sponsors & partners or Club events or ticketing & announcements, you can opt-in or out of any section, at any time, creating a bespoke communication with the Club that is to your preference. Scroll to the bottom of the email notification you have received. Select the tick boxes for the type of communication you would wish to have with the Club. Should you wish to 'Unsubscribe From All Communications' select this option and click 'Save Changes'. Please note that should we conduct any fan surveys or run any competitions in future you will not receive these communications if you unsubscribe. Please ensure noreply@tottenhamhotspur.com has been added to your contacts, this way emails won't accidentally end up in your junk folder. Receiving Some Emails: If you are receiving some and not all, please update your preferences to let us know which emails you'd like to receive. If you are still experiencing difficulties with unsubscribing or receiving emails please contact us. Login using your client reference number and password. Click ‘My Account’ to the right of the page, displayed alongside your name. Select ‘Cup Ticket Scheme’ from the options on the right of the page. Select the Season Ticket(s) that you wish to upgrade to Gold and click ‘Assign Card Details’. As long as your card details are valid, our system will automatically identify that you have assigned your card details and upgrade the membership level to Gold within 24 to 48 hours. Should you wish to close your account permanently for any reason, please contact us from the email address registered to your membership account and a member of the team will reply to confirm its closure. Select 'Log in' in the top right-hand corner of the page. You have now created your online account! Manage Tickets Here, season ticket holders are able to list their season ticket seat for sale on the Ticket Exchange for Premier League games that they are unable to attend. Cup Ticket Scheme Here, season ticket holders are able to register or manage the payment card details that they have registered on the Automatic Cup Ticket Scheme (‘Autopay’). Any seats reserved on a season ticket holder, member, supporters club or general admission account will be listed here so that payment can be made. This is where season ticket holders’ seats are made available to buy for purchase for home cup ties. Account History Your account history lists every booking you have made, any ticketing points that have been awarded and details of any tickets listed on the Ticket Exchange or on Ticket Share within the past 90 days.